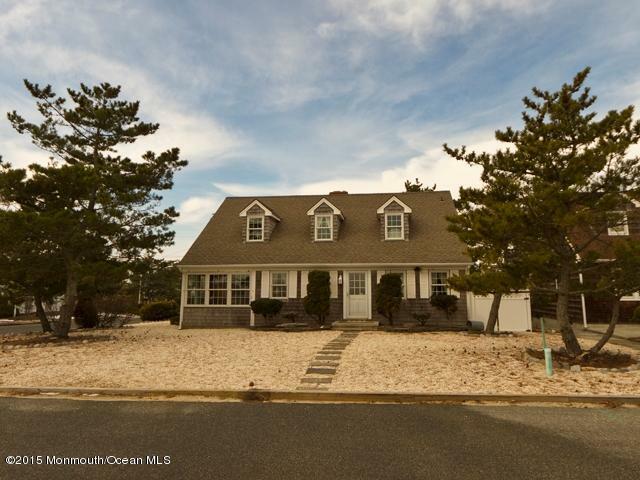 Mantoloking Dunes Ocean Block...Location, Location, Location This well-maintained cape-style home is just across the oceanfront and the direct access to the association beach. Enjoy reading in the enclosed porch, playing games by the fireplace, or walking along the beach! Home features hardwood floors throughout, 2-zone central air, gas forced air heat, two-sided gas fireplace, security system, outside shower and rear fenced yard. Property is sold in ''AS IS'' condition. This is a Must See! Property had no Sandy damage and FEMA future flood maps show it will be located in a NO Flood zone.